Threesixty Bodyboarding, Britains leading surfing magazine. The website of Threesixty Bodyboarding no longer exists, sorry ! Threesixty Bodyboarding , belonging to category "Paper magazine"
The Emerald Mystery --- youth novel ! 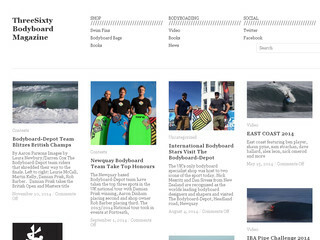 Bodyboarder.com magazine is the number one bodyboard magazine distributed worldwide.